SPECS: Eight loft settings in half-degree increments, from 9° to 12°, including three draw settings. Available with Aldila NV 2KXV Blue 60, Aldila NV 2KXV Green 65, or MRC Tensei CK Blue 50 shafts. Comes in gray or black. RECOMMENDATION: Targets mid- to high-handicap golfers looking for a driver that does a little bit of everything with plenty of ball speed. KEY TECHNOLOGIES: CNC milled face produces tighter tolerances and more consistent thicknesses than a standard hand-finished face; Dual Roll face design optimizes launch when contact is made above and below the club’s center; carbon-fiber crown with polymer "trips" to reduce drag; Cobra Connect: Every club offered by Cobra comes with Arccos sensors in the grip, recording data from every swing to your smartphone. 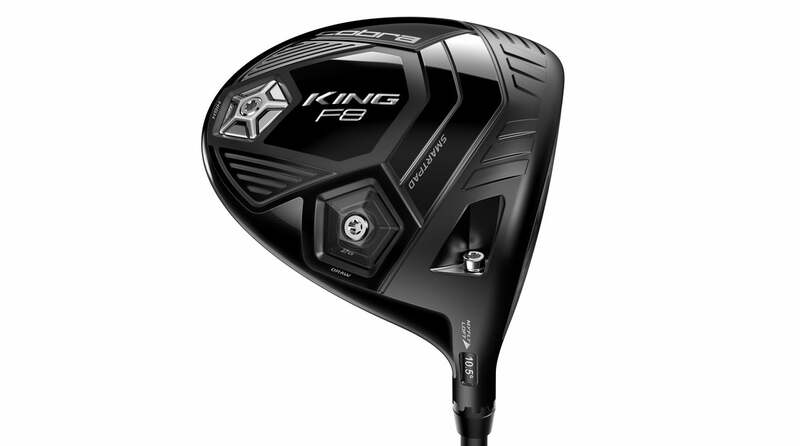 The F8 features all of the high-end touches of its Tour-tested brother, the F8+, including a milled face pattern for tighter manufacturing tolerances and faster ball speeds across a more consistent portion of the face. But it’s built to be friendlier to average players and soft swingers, with a higher MOI geometry and moveable weights that make it easier to dial-up a draw. The F8’s E9 construction creates an elliptical "sweet zone" that gives you some latitude on misses, and the Dual Roll face helps shots impacted high and low on the face chase down the fairway. It all adds up to a full-service club for 5- to 25-handicappers. "Offers a versatile mix of distance, forgiveness and high trajectory. A variety of loft and draw settings make it easy to optimize launch."